Admission - A donation of $3 per person is requested in lieu of the park entry park fee. Youth group members are $2 per person. Children in safety seats are free. Money collected will be donated to Friends of Cunningham Falls & Gambrill State Parks. 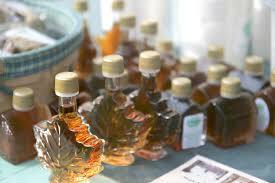 Pancake Breakfast 9:30am-2pm - A piping hot pancake and country sausage breakfast with real Maryland-made maple syrup will be available at the Lakeside Grill. Breakfast is CASH ONLY. 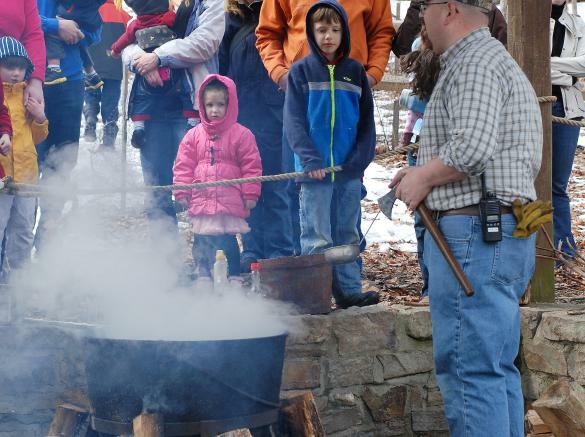 Sugaring Demonstrations 10am-2pm - on the hour every hour - A working demonstration of the traditional sap-to-syrup process is featured at the Boiling Shed. Interpretive talks, covering the process and history are given by Park Rangers on the hour. Sign language interpreters are scheduled each Sunday. Children's Activities 10am-2pm - Kids of all ages can enjoy games, stories and crafts in a large heated tent. 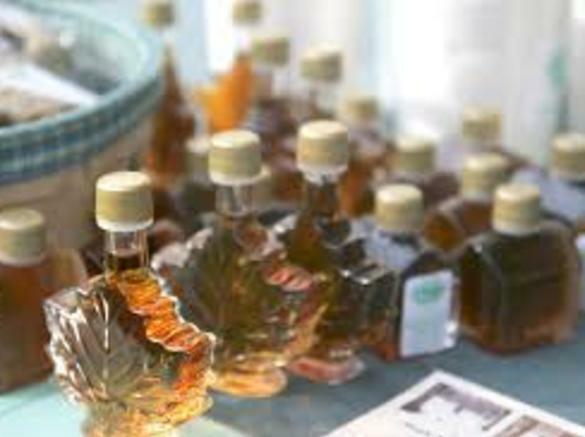 Maple Syrup Sales 10am2pm - At the Syrup Wagon, real Maryland-made maple syrup products will be for sale for CASH ONLY. 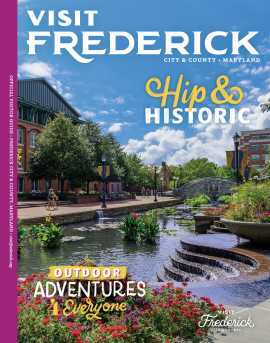 Falls Hikes - Don't forget to visit the 78-foot cascading waterfall - tallest in Maryland! The 1/2 mile (each way) self-guided trail begins near the Boiling Shed and ends at the Falls.